When President Nixon declared the “War on Cancer” in 1971, the nation was heady with the belief that if enough was invested in resources and talent — coupled with the declaration of a national purpose — that success against this deadly disease would come quickly and decisively. But going on more than 40 years after that declaration of war on cancer, some feel discouraged that a cure has eluded us. Despite the optimism about the progress that has been made, our society likes instant gratification — ready to move on to the next challenge when the results of the first efforts don’t bring the desired results quickly enough. Unfortunately, there is no “quick fix” or magic bullet in the war on cancer. And some interpret this as a failure. They are wrong. The last few decades have brought significant progress — especially in breast cancer. Just two generations ago many women with breast cancer were subjected to a Halsted mastectomy — a procedure so severe that doctors said they could almost see a woman’s heart beating through what was left of her skin and tissue after the surgery. A little more than one generation ago, we thought of breast cancer as one disease, the severity of which was measured by the size of the lump. Everyone got some combination of radical surgery, radiation, and the handful of chemo drugs available at the time. Today, we know that breast cancer is a family of diseases — each requiring a different approach and none necessarily dependent on the size of the lump. New therapies targeting different forms of the disease have been developed and continue to be developed. We learn more every day about the genetic and molecular mechanisms of breast cancer. We’re seeing the potential of genomics and precision medicine to individualize a patient’s therapy, and the potential of research we’re funding that could lead to vaccines against recurrence of breast cancer. In just one generation, five-year survival rates for early stage breast cancers have grown from 74 percent to 99 percent in the United States today. 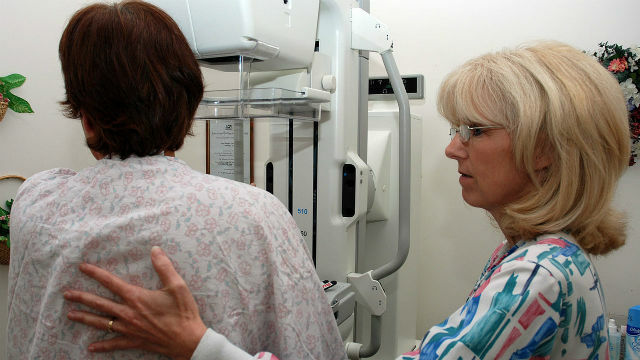 Death rates from breast cancer have declined by 34 percent since 1990. We’re predicting almost exponential progress over the next 10 to 15 years, bringing with it the potential to more successfully treat, and even cure, most aggressive and metastatic forms of the disease responsible for the majority of 40,000 U.S. breast cancer deaths annually. We’ve now reached the middle age of the war on cancer. That means it’s time to draw on the value of our experience and accept that finding a cure may take longer than we initially thought or hoped. Over the past four decades, our understanding of cancer has significantly enhanced, and improved our ability to treat and care for people facing the disease. As Winston Churchill famously stated: We must never, never, never give up! And, we won’t. 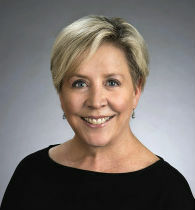 Laura Farmer Sherman is a breast cancer survivor and the president and CEO of Susan G. Komen San Diego, a local nonprofit dedicated to funding free diagnostic mammograms, treatment and services for uninsured and underinsured San Diego women and their families. Next to the U.S. government, Susan G. Komen is the largest funder of breast cancer research in the world. For more information, please visit www.komensandiego.org.